This music is intended to be played by a large group of varied experience and skill. The sixth flute part is very easy, the upper parts fairly demanding. It is more difficult than the recorder version and no longer has the piano part but the tunes are just as catchy. 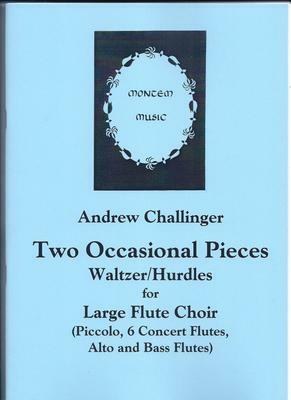 What do you want to know about Two Occasional Pieces for Flute Choir?